* 100% Brand New and a perfect fit. * Easily access all functions without removing the case. * Shock Resistant rugged protection for iPhone 6S. * Excellent viewing stand built into the back of the case. * Smooth silicone shell to keep dust and dirt out. 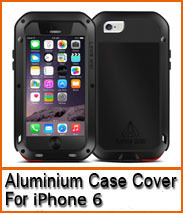 * Tough outer TPU protection providing fantastic grip. * Easy to apply and remove.